He has been active in the research of service enabling technologies for about 26 years. He obtained his MSc degree in informatics (Artificial Intelligence & Robotics) at the University of Amsterdam in 1989. After graduation he performed research at the Free University of Amsterdam. He was then employed by Logica in the position of Programmer, Analyst and Consultant for a period of 8 years and after this was employed as Software Architect by KPN for a period of 10 years. Since 2008 he is working at TNO as Technical Consultant. His research activities are mainly in the field of Big Data and IoT. As a Technical Consultant he was involved in several national collaboration programmes and European projects (e.g. FP7 and Artemis). She obtained her PhD in System Engineering in 2011, at the Department of Automatic Control and Applied Informatics of "Gheorghe Asachi" Technical University of Iasi. As a PhD student in the framework of the EU co-financed BRAIN project “Invest in Intelligence”, her research focused on automotive driveline modelling and control and she was part-time teaching assistant on System Theory and Control Engineering topics. She is currently employed by TNO, the Dutch Organization of Applied Research, in the Powertrains department. Her activities are related to after treatment modeling and control topics, predictive powertrain control topics and project leading roles. She has been or she is currently involved in different European projects like TRANSFORMERS, EMC2, EcoDriver and CERBERO. He has been active in the research of large and distributed embedded systems for about 14 years. He obtained his BSc/MSc degree in Computer Engineering in 2004 at the Federal University of Pernambuce, in Brazil. Subsequently he performed a PhD research at the University of Tuebingen, Germany, and received his degree in . He was employed by the University of Tuebingen in the position of research assistant for 6 years. Since 2011, he is working at TNO as research and innovation scientist. His research activities are mainly in the field of large, distributed and autonomous systems. As a project manager he was involved in several national collaboration programmes and in two European ARTEMIS projects. He is (co-)author of about 20 scientific papers and holds 2 international patents. He is currently employed as research scientist for TNO in the department of Monitoring and Control Services. Concurrently he is doing a PhD on distributed system design and optimization at the Delft University of Technology. Coen received both his bachelor and master's degree in Artificial Intelligence from the University of Groningen in 2008 and 2010, respectively. After he finished his master's thesis, he started working in TNO's department of Intelligent Imaging in The Hague. In 2012 he started my PhD at Delft University in the Embedded Software group, with Koen Langendoen as supervisor, and Przemysław Pawełczak as daily supervisor. As an IT professional Coen has experience with a wide array of programming languages (C, Java, Python, Matlab) and tools (bnd, OSGi, docker, maven, git) and some experience with web development tools (HTML, CSS, jQuery, Swagger, Bootstrap). He works as a scientific research engineer with a background in hybrid and electric vehicle systems and powertrain modelling and simulation, originally based at Imperial College London where he completed his PhD and post-doctoral studies, is now an part-time Assistant Professor within the University of Eindhoven, with focus on battery management systems. He has been involved in a wide range of research projects funded by EPSRC, Industrial and Governmental, and the E.U. within Frameworks 5, 6, and 7. He is based as a research scientist within TNO, the Dutch Organization of Applied Research. He is a member of the Powertrains department within TNO, is an active member of EARPA and EGVIA, and is involved in the TRANSFORMERS, COMPASS4D, CONVENIENT, EMC2, ABattReLife, AMBER-ULV and 3CCar European project amongst others. He obtained his MSc degree in Automotive Technology at the Eindhoven University of Technology, where he specialized in Electromechanics and Power Electronics and graduated on state- and parameters estimation on LFP batteries. Preceding to this, he finished his Mechatronics bachelor at the Fontys University of Applied Sciences, where he graduated on a PCB design of a hub-motor controller. 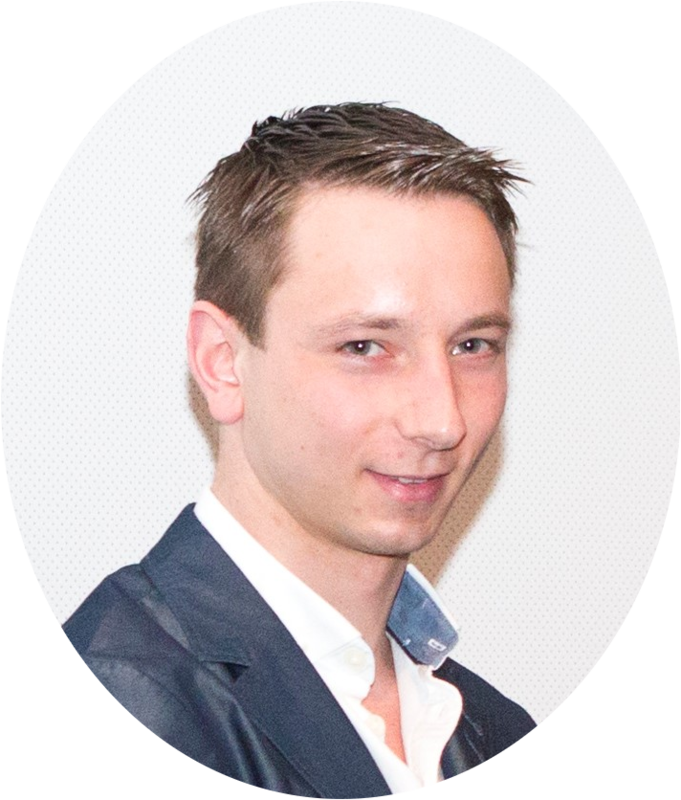 He is currently a research scientist at TNO, the Dutch Organization of Applied Research, in the Powertrains department. His current work includes battery testing, modeling and simulation, as well as state- and parameter estimation. Both focusing on electrical modelling, thermal modelling and combined electro-thermal modelling. He is currently (has been) involved in different European projects like ABattReLife, AMBER and 3Ccar.